Non-Communicable Diseases (NCDs), which accounted for 75 per cent of all deaths in Tonga in 2008, according to the WHO are due mainly to poor diet, lack of physical exercise, smoking and alcohol consumption. According to Hon. Dr Saia Ma’u Piukala, Minister of Health, “99% of the Tongan adult population is at medium to high risk of developing a NCD. The focus on NCDs in Tonga began in 2003 with the development of a comprehensive NCD strategy (2004-2009), the first in the Pacific. The then Minister for Health, Lord Viliani Tau’ Tangi, has been a mainstay of the NCDs fight and has consistently seen nursing as having a central role to play in arresting and controlling NCDs. The evaluation of this first plan revealed that there were difficulties with both accurate data collection and with implementation. The next NCDs strategy (2010-2015) focused on redressing these issues and Lord Tangi recognised the critical positioning of nurses in the Tongan community as well as the acute care sector. Several years earlier, reproductive health nurses had been specifically educated and stationed in each community health centre resulting in a significant reduction in maternal and infant mortality, morbidity and rise in immunisation rates. This community-based, nursing-led model, it was believed, might also work with NCDs if a role could be introduced which would combine health promotion, early detection, illness prevention, treatment adherence, rehabilitation and palliation. The idea of the Tonga community based NCDs nurse was born. A pilot was set up in 2012 in five community centres and the efficacy and acceptance of this community based offering quickly became clear. Funding was sought for rolling the NCD nurse programme out to 20 community centres and by early 2014, 20 explicitly chosen experienced community nurses graduated from an innovative collaboratively constructed, and accredited Advanced Nursing Diploma in the Prevention, Detection and Management of Non-Communicable Diseases. 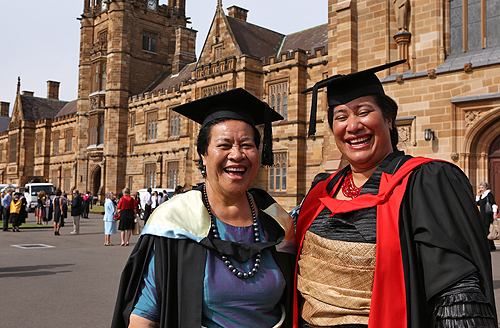 To demonstrate the importance placed on this nursing initiative, the graduation ceremony was attended by Her Majesty Queen Nanasipau’u Tuku’aho, and the Minister for Health. This nurse-led initiative has already enhanced the accuracy of data collection on NCDs; improve diabetes and cardiovascular disease monitoring and treatment; enhance community participation in exercise and nutrition programmes; and reduce the need for amputations. The latest strategic plan for NCDs (2015-2020) continues the fight in Tonga with an emphasis in this latest plan on young people and a healthy start to life. The community based reproductive health nurses and NCD nurses will continue to have a major role to play, along with many other sectors of society.